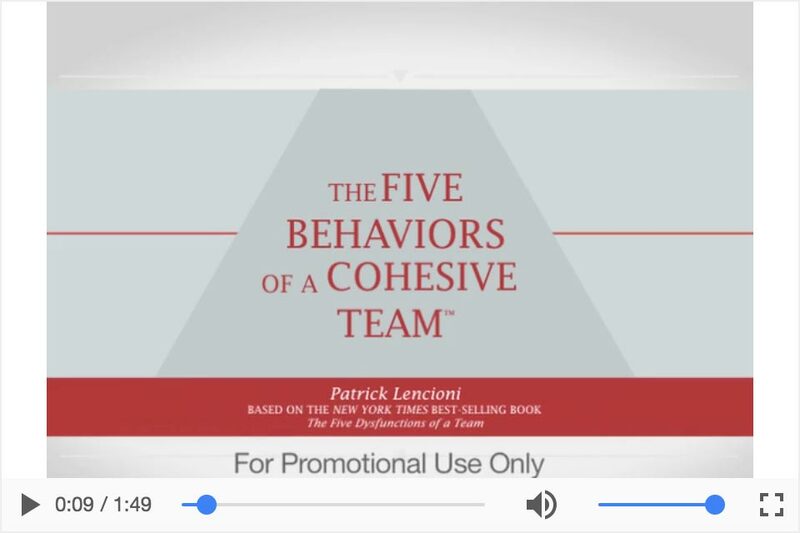 Training Solutions, Inc. is an Authorized Partner of new The Five Behaviors of a Cohesive Team. 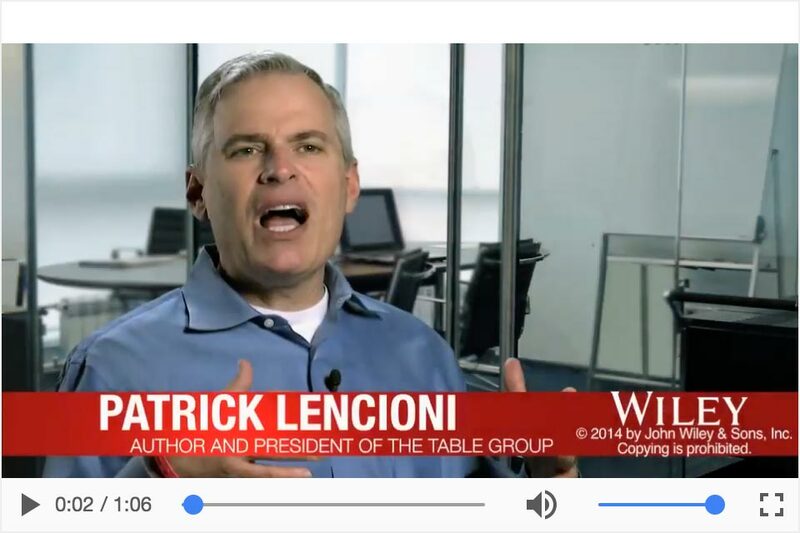 This program is based on the best-selling book "The Five Dysfunctions of a Team" by Patrick Lencioni. 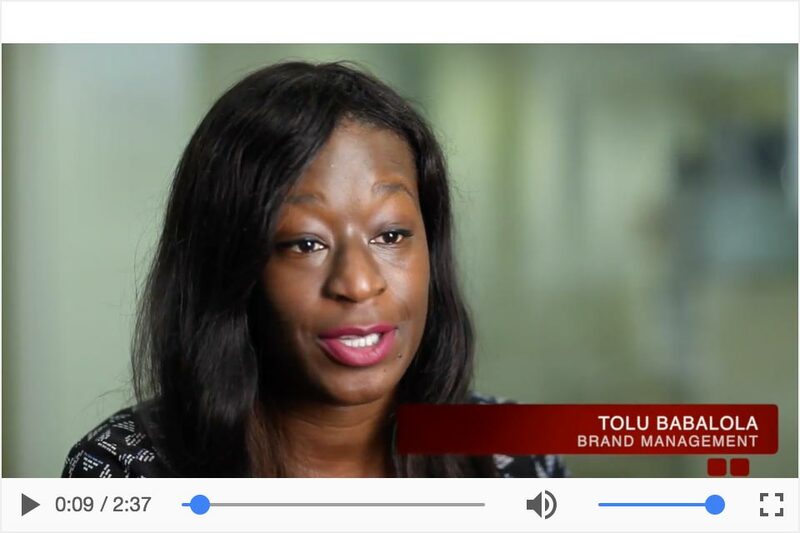 Training Solutions can facilitate this program for you, or you can have an internal person facilitate the program with some consultation with Training Solutions. As of mid-2016, this program is now powered by All Types™ as well as by Everything DiSC®. 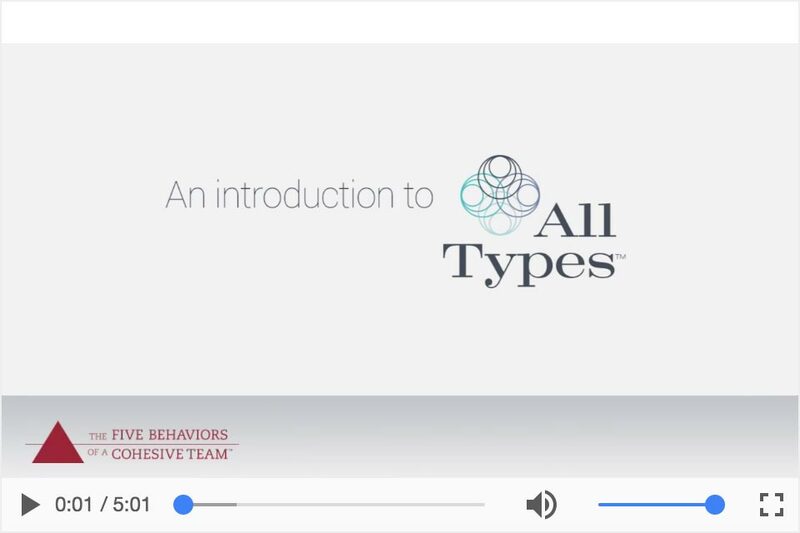 Powered by All Types™ is based on Carl Jung's theory of psychological types, like the MBTI® instrument, as their preferred indicator of behaviors and personality. 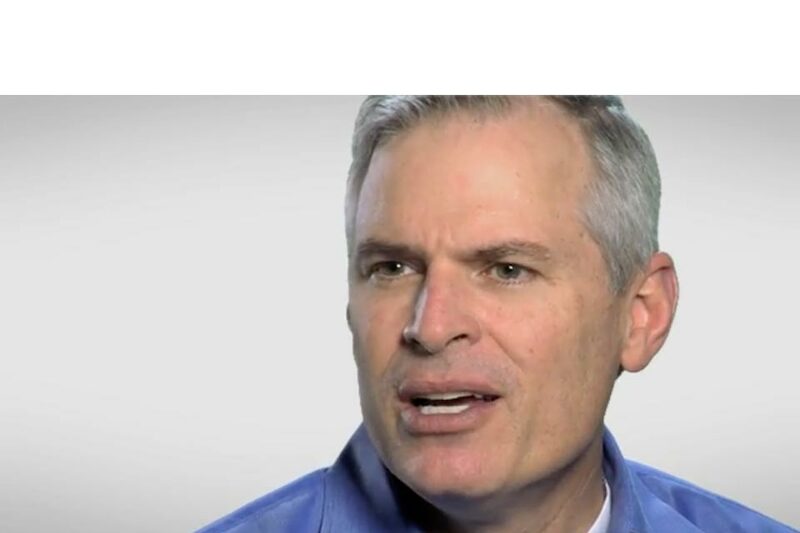 (Training Solutions, Inc. is also an Authorized Partner of All Types™). Take this survey to help you think about it. 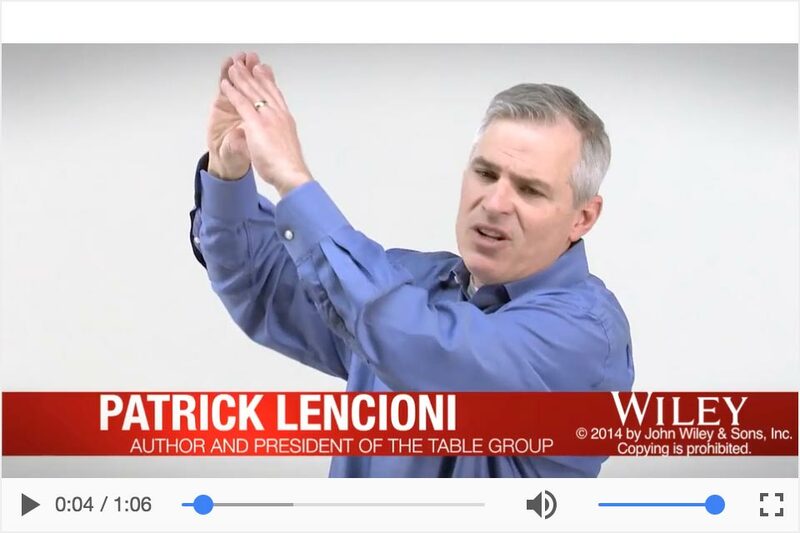 Can Training Solutions, Inc. facilitate this program in my company? 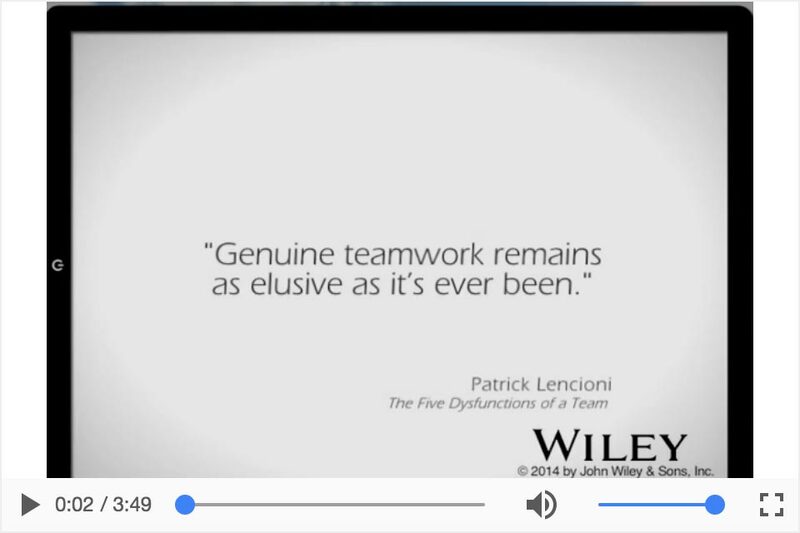 Yes, we can because we are an Authorized Partner of The Five Behaviors of a Cohesive Team. We can talk with you about how to prepare the team and schedule the sessions at your convenience. You would not need to purchase the Facilitator's Guide. We would administer the online assessments to your team members and produce the reports to prepare for the sessions. Can I facilitate this program in my company with an internal employee? You can, if you are an experienced facilitator and use the complete Facilitator's Guide available for you to purchase. 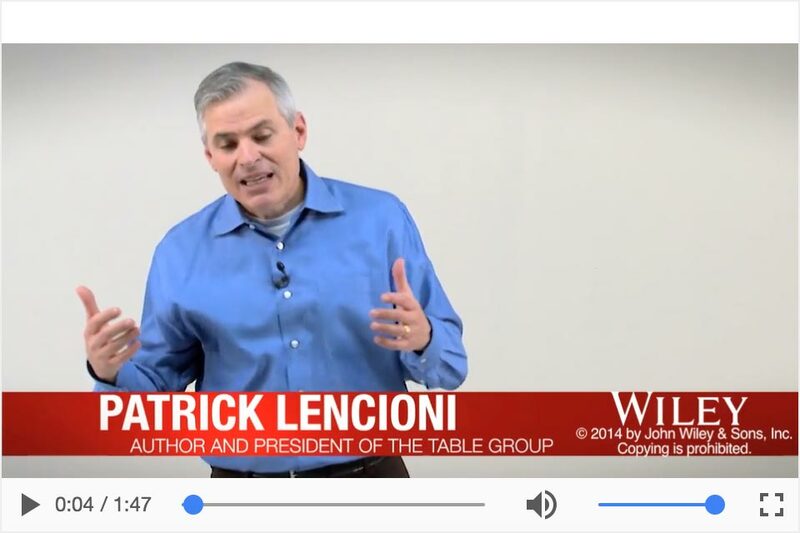 A certification is not required but is available as an option for you to learn more and be better prepared to facilitate this impactful program. This is an online certification process. Click here for the available dates and pricing. There are 7 modules in this program, and the team will be sharing many feelings, emotions, and opinions; so the strong facilitator needs to be able to move the group successfully through the discussions. 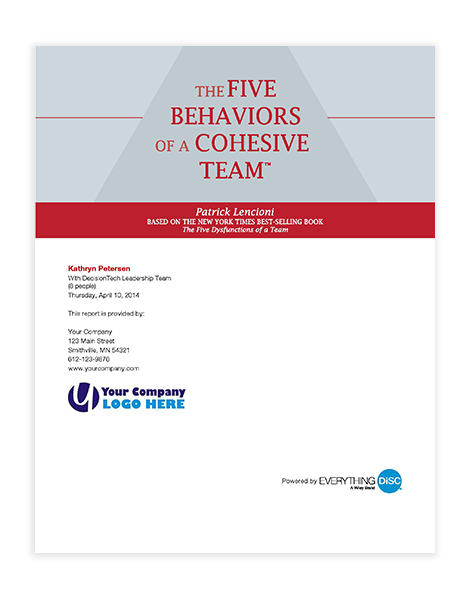 Click here to purchase The Five Behaviors of a Cohesive Team Facilitator's Guide powered by Everything DiSC®. 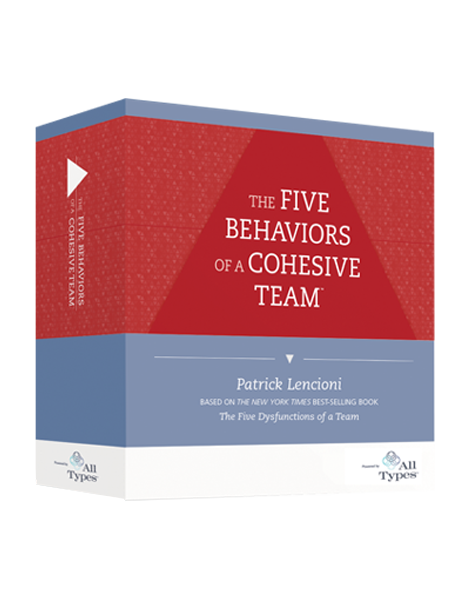 Click here to purchase The Five Behaviors of a Cohesive Team Facilitator's Guide powered by All Types™. 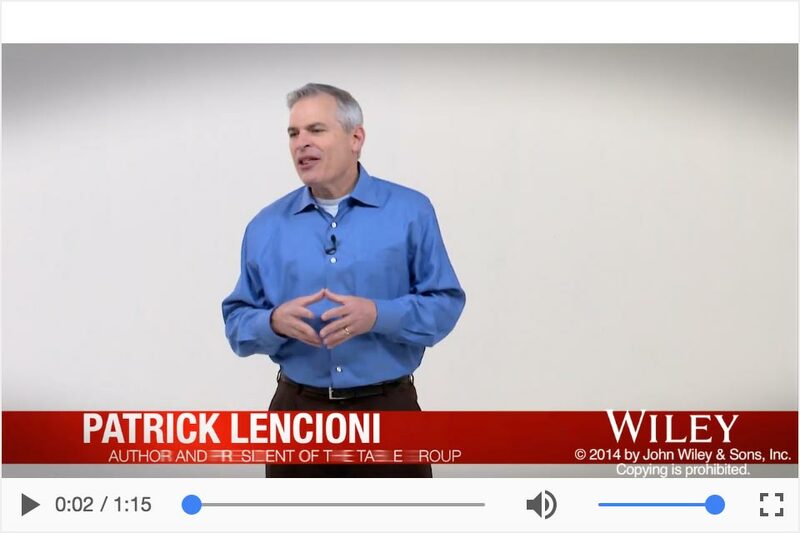 What is included in the Facilitator's Guide? A set of take-away cards is also included for each of The Five Behaviors. What are the seven modules about? Each module builds on the previous one. Exercises within each module gives participants to try practicing the behaviors. 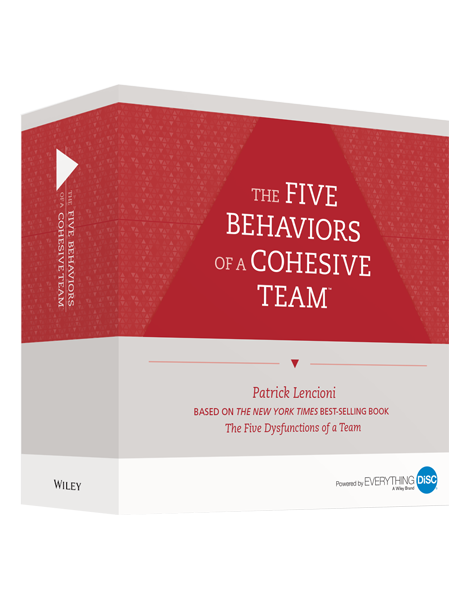 There is a Facilitator's reference tool called The Five Behaviors of a Cohesive Team Annotated Team Report that is developed online automatically from combining the Participants' Reports. This report is designed to give the Facilitator the same information that appears in the participant reports along with the team information. Within this special report, the Facilitator receives many notes, hints, and explanations that are shown in the Team Report. 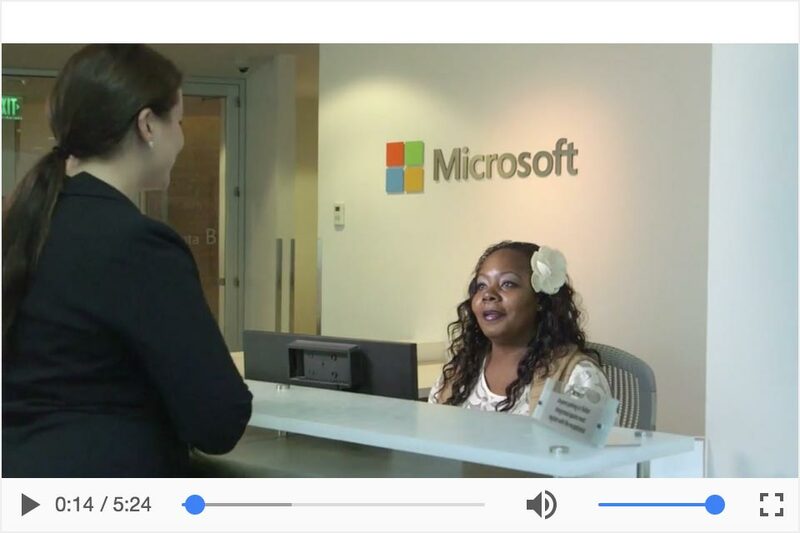 Click here for a free sample Team Report powered by Everything DiSC® and click here for a free sample Team Report powered by All Types™. 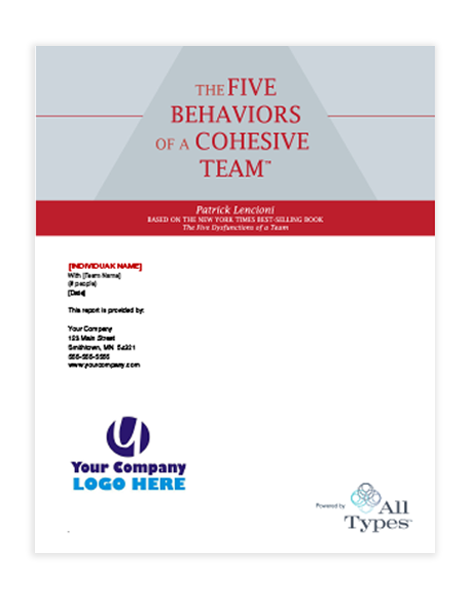 What does an individual's The Five Behaviors of a Cohesive Team Profile Report look like? Each individual will take pre-work assessment online. 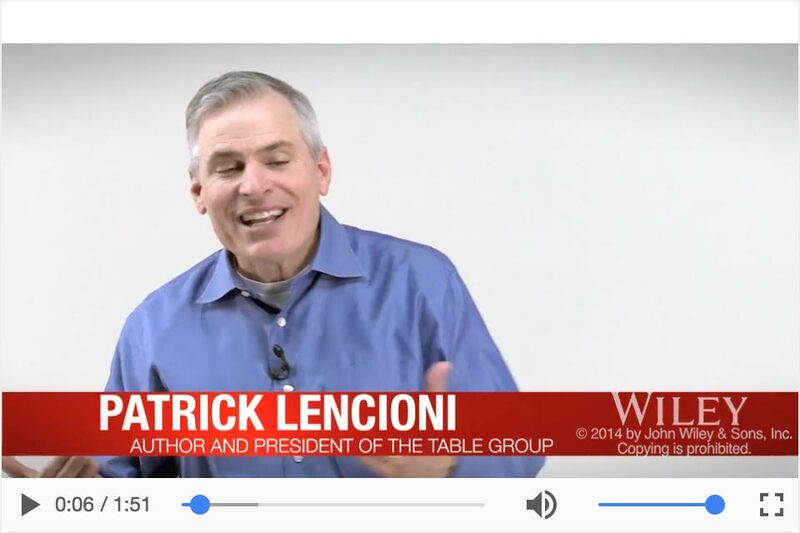 Each report is personalized to give you valuable information including a summary of your team's results in The Five Behaviors. 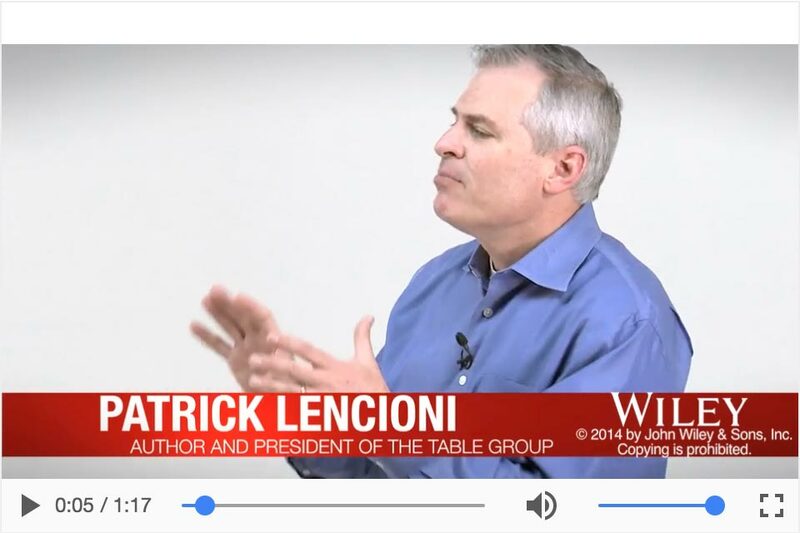 Each of the five behaviors (Trust, Conflict, Commitment, Accountability, Results) is reviewed with the perspective of your behavioral style as well as the team's results. 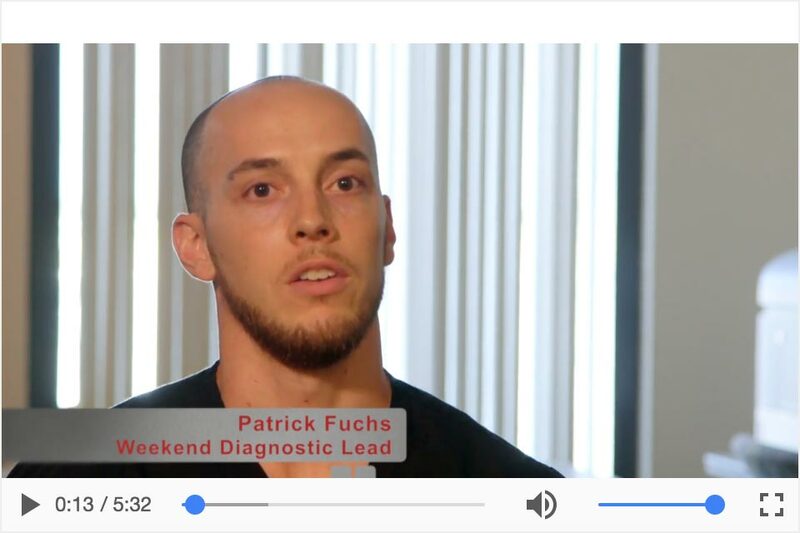 Click here for a free sample Participant Report powered by Everything DiSC® and click here for a free sample Participant Report powered by All Types™. 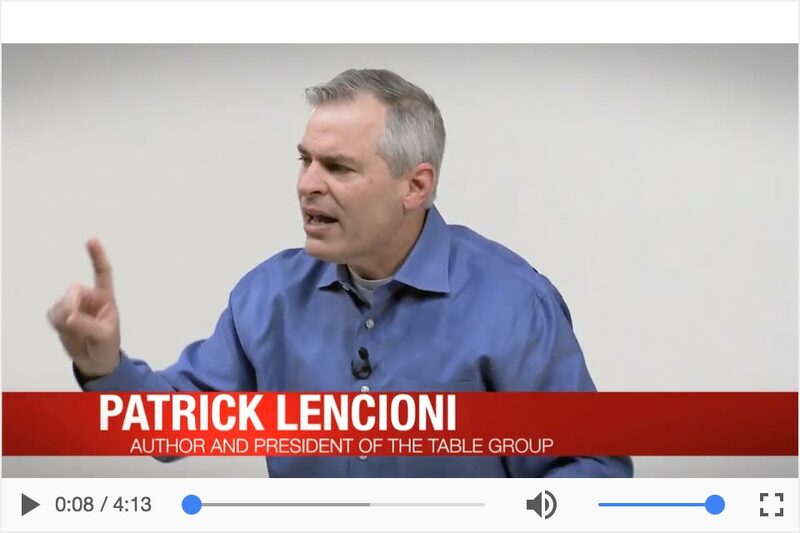 Listen to Patrick Lencioni talk about leadership and teamwork.